One of the most exciting aspects of the May 8 election is the entrance of new political parties who feel and sound very different to any of the established ones. This year's national election will be contested by 48 parties. 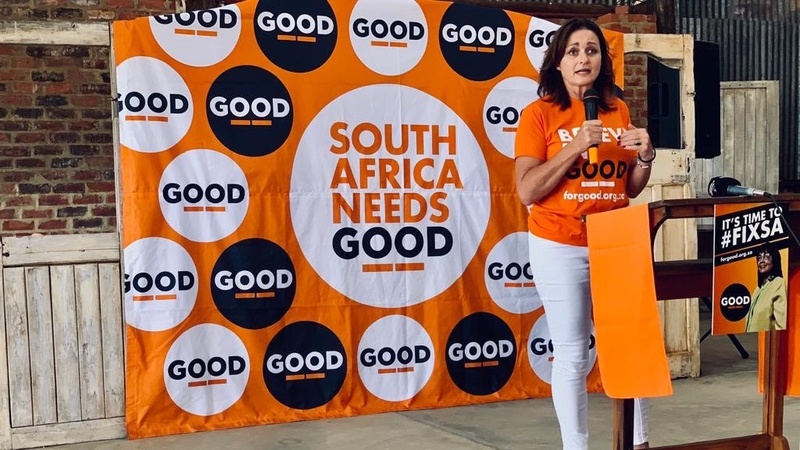 Included in this mix are three new parties I find interesting: the African Transformation Movement (ATM), the Capitalist Party of South Africa (the Purple Cows or ZACP) and GOOD, Patricia de Lille's new political start-up. Although none of these parties will win the election or even come second or third, they could all have representation in the Parliament after May (you need about 30 000 votes for one seat). Their presence in the house will shake things up and give more South Africans a say in the policies that govern our country. The ANC, DA and the EFF have been numbers one, two and three respectively and will remain that after this year's election. But some of the smaller parties could be flushed-out by new entrants. It is a mistake to refer to the ATM as "Mzwanele Manyi's party". Manyi, a populist cheerleader for Jacob Zuma, former senior civil servant and ex-media boss for the Guptas, joined the party in January as a member of its national executive committee. But he is not the leader, nor the biggest reason why voters in the Eastern Cape and KwaZulu-Natal may vote for the ATM. The party was established last year by the SA Council of Messianic Churches in Christ, one of the largest church bodies in the country representing churches like the Bantu Church of Christ and Twelve Apostles' Church in Christ. The party's president is Vuyo Zungula, a church leader from Butterworth in the Eastern Cape who was "hand-picked" by the council to lead the party. Two weeks ago, the ATM was tested for the first time in a by-election in the Eastern Cape's Nyandeni municipality, which includes the town Libode. The ATM won 30% of the vote and the ANC 65%. This has led to election analysts saying the ATM may be the surprise package of 2019. Context is important: a total of 1 644 votes were cast in this by-election, of which the ATM received 498. It would be silly to predict major national or even provincial success based on 498 votes, but it shows an interesting trend and intent. Zuma's hand was visible in the formation of the party. Rapport reported that Zuma attended a meeting in Umhlanga Rocks last year where the party was established. The council was established in response to the South African Council of Churches' decision to support calls for Zuma to step down. The ATM endorses the death penalty and its church members are opposed to abortion and gay rights. Former editor and media boss Kanthan Pillay and nine friends have established the "Purple Cow" party, that is highly visible on social media and in Johannesburg's northern suburbs. The party is a motley crew of right-wing podcasters (Roman Cabanac), life coaches (Katlego Mabusela), respected business editors (Duncan McLeod) and pro-gun ownership pilots (Gideon Joubert). As much as I am tempted to, it would be erroneous to call them AfriForum in drag, at this stage at least. Unashamedly endorsing liberty, capitalism, individual rights and gun-ownership, the ZACP is taking a leaf out of Donald Trump's playbook and will target mostly white South Africans who are disillusioned with the DA and have no political home. They may speak to a large enough audience to win a seat or two in Parliament. De Lille remains a force to reckon with and refuses to exit the political stage. In recent days, she has taken the fight to the DA in the Western Cape, pointing out failures of governance in DA-led municipalities. De Lille is a fiery, likeable politician, who will get a substantial number of votes from the Western Cape electorate who are frustrated with the DA and from other South Africans who don't want to vote for one of the top three parties. She will be a thorn in the ANC's side (and the DA and EFF for that matter) if she returns to Parliament and may be able to build GOOD from the opposition benches, if she gets enough votes.